Rinse and Repeat: Sharing Your Blog the Right Way | Get the Latest Online Marketing Trends in Web Design, Social Media, Blogging, and More. Your business should already have a blog, but marketing that blog can often be a bit confusing, if not aggravating. You should always share each new blog post through your company’s various social media accounts, from Facebook to Twitter, but a single share post can lead to an incorrect estimation of interest with regards to content; in turn, this leads to new blog posts created with similar content, which can result in an overall drop in interest from even your most loyal clients. How can this happen? You post content according to client interest, surely the articles with more hits or comments are the ones that your clients are the most interested in. This form of thinking ignores one key fact of life: some days are better than others. You already know to share your blog through multiple channels, with Mashable recommending everything from social media to affiliate services, but the fact of the matter is that you also need to share it multiple times to get a real indication of what your clientele want to see and what kind of engagement to expect on average. You could post an article that’s fairly low in value on a “good” day, one where your business has a fair measure of traffic and decent engagement already in place—either because of a promotion, a recent change to the company or a boost in page rank—and get a surprising number of hits and comments. Likewise, you could post something extremely high in value on a “bad” day, where engagement is low because of an upcoming holiday, a recent outage on your server or even a bug in Facebook’s news feed algorithm, and receive no hits at all. 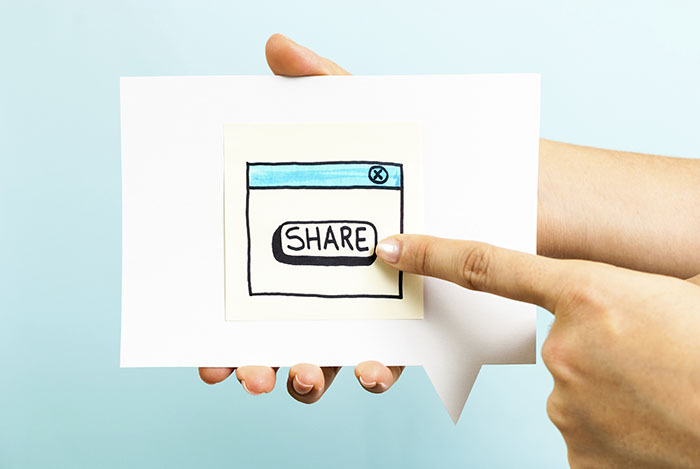 This doesn’t mean that your clients prefer low-value content, it means that you need to share your posts more than once. According to the Huffington Post, reposting content is a controversial topic in the world of content marketing. There are vocal advocates singing the praises of repeated exposure, while critics complain about the monotony and tedium of regular reposts. The key to satisfy both sides of the argument is to avoid reposting identical content each time, but still refer to the same blog post multiple times throughout the week. Share it the day you make the post with an announcement about the post itself. Introduce the post with the title or best headline. Share it again two or three days later as a reference in a related social media post. Pose a question that the article answers, and include a link back to guide clients and colleagues to your content. Share again no more than five days after the initial post with the best one-liner from the article. Use this as a hook to get readers interested and link them back to your blog. There should be at least one other social media post in between each blog announcement, to keep your feed from looking repetitive when viewed as a whole by new clients or interested parties. This means that, just as you need to keep up on your blog, you need to keep your social media feeds live and active as well. After a couple weeks you’ll have the hang of it, and before long you’ll start to see the trends in client interest that you’ve been looking for.